England is not simply a place I come and go, but the land has helped me to overcome myself, with many emotions and understand myself better. Is not meaningless when everyone wishes to set foot once to England, and nor is it ridiculous when everyone is immersed in the ancient beauty that this land modern. Everyone has their own way of love. Those tourists love through the eyes admire the sight of the symbols of England. Professional photographer who loves England back through each image size, each best moments they captured was ... Then with a student like me, fall in love with this country through ordinary daily life as people indigenous, simply ask for things most traders get the most peaceful things. When it comes to England, everyone will think of London, which is described as a picture of harmonious combination of colors and unique drawings. Where the beauty of London can be difficult and hard match, where can get. It has the bustle on the streets of the center, is busy in the subway, where the noisy crowded shopping street, but still keep yourself calm strokes through the relics associated with Britain, which features idyllic quiet while sitting in a café overlooking the window watching carefully where this capital city. England is beautiful through the eyes of those tourists, but if you watch it through another aspect, this country can most enchanting anywhere anymore. When everyone has a race to train their own ground, no one tried to stop there, despite the influx of people hurried past each other, to immerse themselves in the beauty nameless, then steeped in thinking of themselves yet? Has anyone ever stopped enjoying performances by street performers, music feel real special of London, and laughed with them, support them yet? Is it possible for someone who used to walk along the streets of London when the shops are still closed, and contemplate: "Well, it turns out London also times like this, the moments under that quiet night after only a few hours just disappear? ". Has anyone tried the rain in London to wear wet yourself, but in the heart and that is happiness just discovered a new beauty of this land? At times someone looks at the sky of London, so beautiful, so in, but had vague sad yet? That when someone is standing under the sky where this foreign land, there are those who are standing under the skies of Saitama on the other to his or her waiting ... Then suddenly realized, when looking at every beauty, every person still feel grief themselves. I am a student in the coastal city in the southwest of England, 1.5 hours from the capital by boat - Bournemouth. When it comes to the UK will be obscure to Bournemouth, but for me, it is a piece of land attached to life, for I am but happy happy moments with their friends, the people I thought I would never met. The beauty of Bournemouth different from London, the picture was simpler, more casual, like something as yet to be finalized, but it is the most beautiful sketches. One should carefully watch this picture can see the hidden features, new feel all the emotions contained therein. Who, too, is an international student would be very easy to feel lonely, feel lost between the lines are very busy people out there, and this time, I choose to go around the city to explore more about the potential, and to shake off all sorrow of itself. Bournemouth has a coastline with sandy beaches gilded under the sun glare tied. That's where I drop soul, his heart drop, drop once confided to strong waves come and go. Walk along it, I feel the bitter cold weather, but as it wants to take away all the tiredness of me, give me comfort, joy. Walk along it, I used to cry, cry because of loneliness, so tired, so sad. Walking along it, I also had to laugh, laughing, happy, because this place has made me grow up, give me a life that, despite the failure will continue to stand up. Study abroad, also means getting used to having to take the bus. Time sitting on the bus, headphones, forget everything, that's when I feel most comfortable. Through the window, I saw the family laughs happily, seeing the couple holding hands walking down the street, see the group you hang out together laughed straw. I remember his time in Hanoi, that he also was one of those who are happy like that, but this time I was alone. And UK alone. The bus let me admire this land in another aspect. A beauty that only human beings away from home as we understand. A beauty which alone we feel sad, alone we feel lonely. I always sit on the last bus to the station, where I do not know where this is, nor determine the orientation. I always want to try to see where this British soil, it contains beauty that do not know anymore. See, it was immersed. I at that time, have to ask yourself how questions themselves never answered. I at the time, was crying like there's no tomorrow. I at the time, went up a hill and then shouted to the sky, saying, "I have tried many more, have to fall much further tears, how much longer must fall again, can my parents are not the days of our thoughts. " England that day, heavy rain. England that day, using his beauty that hold me close. England, did not abandon me. 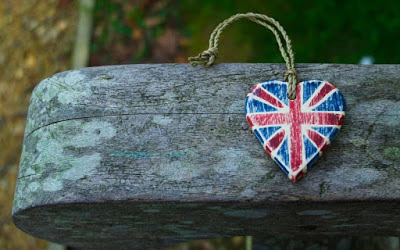 Besides Saitama, maybe the UK is the place I love the most, is where most memories for me. It is not simply a country I come and go, but also a piece of land gave me her beauty to help me overcome myself. This country has taken me to many emotions frame, help me understand myself. England in my eyes, is a beautiful piece of land has the same I cry, and I'm happy, a place for me to understand, and where I willingly put my love into it forever.